The season continues to be going well with the yard reaching it's most prizemoney ever won in a season since we have been training. With two weeks still to go hopefully we can get a few more winners on the board and up the prizemoney a litttle. 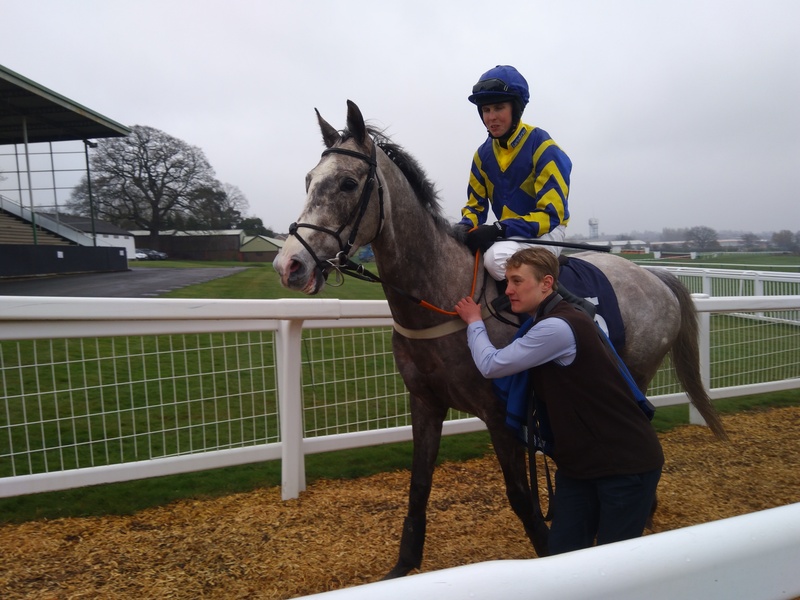 The last two winners for us have both been greys with Florrie Knox winning up at Wetherby after being consistently placed in his previous runs. Great for his Owners who have been great supporters of ours. 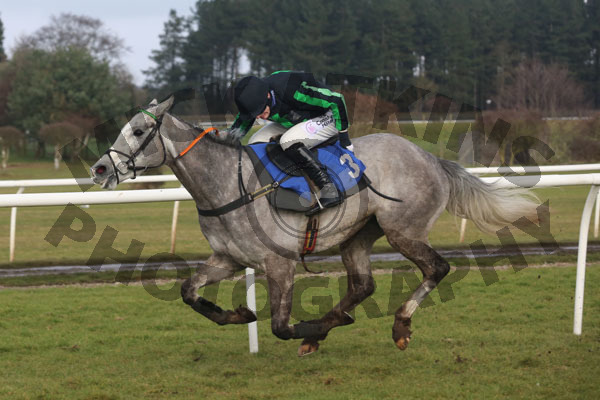 This week another grey in the form of Royal Sunday won at Hereford for us. We have only had him for 6 weeks, the owners moved him to us from Alan King's as he was a bit of a handful and thought a smaller set up would suit better. Jamie our Amateur has done all of the work on him and we basically have been very quiet on him and gone back to basics. We were thrilled with him as he led from start to finish and the owners seemed very happy as well. It was his first run over hurdles and first run for over 300 days so all good. The weather has also been playing havoc with racing and lots of meetings have been lost. There have been quite a few occasions when we have been already to set off with the horses and the racecourse has failed the inspection and so all dress up and nowhere to go. Yesterday we ran Ceara Be up at Aintreee in a mares bumper and she ran really well. She was dropped right out of the back and had to much ground to make up, if this had not been the case she would have finished a lot closer and was only beaten 13 lengths. Tomorrow we are off to Newcastle with Florrie Knox, probably his hottes contest so far but he deserves a shot at a good prize. The course has got to pass an inspection first! !